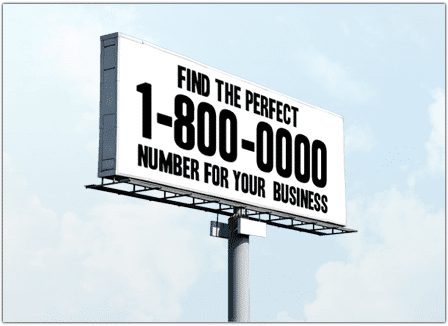 Why Get a 1-800 Number for Your Business? Having an 800 number for business purposes has been a highly popular trend in every industry for years and still is today. Why? Because toll free numbers provide your customers with an easy way to contact your business for sales inquiries, support questions, and other information. In addition to this, a branded and easy-to-remember business 800 number can also be an effective marketing tool. And with UniTel Voice you can get a cheap toll free number loaded with all the features you need to better serve your customers. Here are some reasons why you should get an 800 number for your business. Our toll free service is low cost and high quality. Get more phone system features with less hassle—because we offer free personal setup help with every plan. UniTel Voice is a trusted FCC registered RespOrg toll free service provider with 10+ years of industry experience. 1. When you get a 1-800 number for business make sure you’re buying not renting. There are generally two types of toll free number service providers out there: phone companies that sell you a toll free number that you own and completely control and phone companies that rent or lease you a toll free number that you don’t own and don’t completely control. Because your phone number is an important asset to your business, your customers are familiar with it and you invest in it through advertising and promotion – it makes sense to own your number with no strings attached. With UniTel Voice, you aren’t renting or leasing your 800 number. You own it and can port it to another provider at any time. 2. Get 1-800 number service with the features your business needs. Not all toll free number services are created equal. With UniTel Voice you can get a 1-800 number for your business at an incredibly low-cost and the business phone system features you need to run your company from anywhere. UniTel Voice allows you to forward your toll free number to any phone or device, set up greetings, extensions, voicemail and send and receive faxes. 3. If you can’t find a “true 1-800 number” that spells the word you need try a different prefix. Since the toll free prefix 800 came out almost 50 years ago almost all of them have been purchased by existing businesses. Therefore, if you’re looking for a vanity 800 number (a custom toll free number that spells a word or phrase related to your business) you should consider getting a toll free number with a newer prefix such as 855, 844, or 833. There’s simply more options available in those newer toll free prefixes.